This year will be the fifth runing of the event and apart from last year, the start of each race hasn't been without incident. The inaugural race in 2014 featured a standing start but pole sitter Saavedra stalled as the lights went out and his car was hit by Munoz and Aleshin, showering the track with carbon-fibre and forcing a restart. It was decided that for 2015, the race would have a conventional rolling start. However, several cars came together at Turn 1, though this didn't lead to restart. In 2016 after the start and as the field moved into the Turn 1, Kanaan collected Bourdais on the outside of the corner, bringing out the first caution of the race. The race restarted after four laps under yellow. 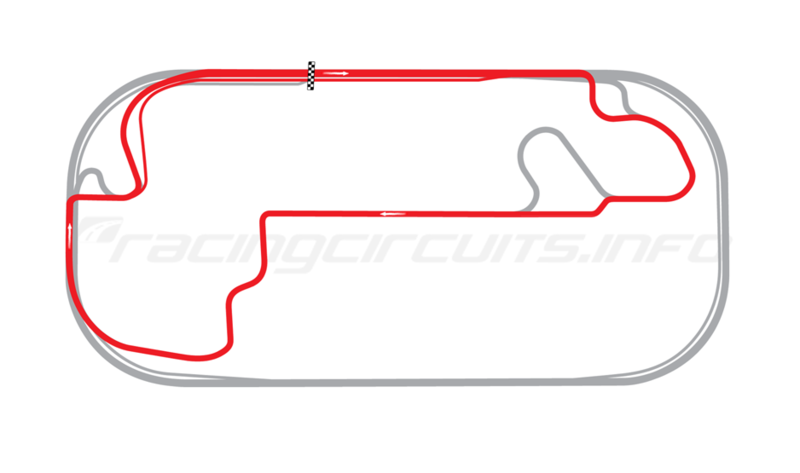 The track is a modified layout of the circuit that was previously used for the F1 United States Grand Prix, held from 2000 - 2007 and which is currently used by the MotoGP, Red Bull Indianapolis Grand Prix. The race is run clockwise, the opposite direction to the Indianapolis 500. Will Power, May 12, 2017. 1:07.704, 129.69 mph (208.44 km/h). Team Penske, Dallara DW12-Chevrolet IndyCar V6. Verizon IndyCar Series. Last year Power took pole and at the start of the race, the field made its way cleanly through the first few corners. Power held the lead over Castroneves, while Dixon moved into third. However, at Turn 7 Andretti made contact with Kanaan, putting Kanaan into a spin and sending Andretti and Jones into the grass. Kanaan was forced to pit with a punctured tyre, while Andretti was given a drive-thru penalty for avoidable contact. Surprisingly, the race resumed without a caution. On lap four, Bourdais pulled off at turn 1, with an engine failure forcing him to retire, allowing Rossi to move into the top sixth. By lap 17, both Hunter-Reay and Pigot had got around Rossi. The first round of pit stops came on lap 20. Castroneves, who had stayed on the red alternate tyres, was able to move ahead of Power, who had switched to the black primary tires. Dixon remained third, while Newgarden, Hunter-Reay and Pagenaud completed the top six. Pigot, who made been on a charge towards the front, stalled his car during the stops dropping him down the order. Shortly after the stops, Pagenaud was being caught by Hinchcliffe, Rossi, and Max Chilton. Hinchcliffe, however faded from the battle after both Rossi and Chilton overtook him on the same lap. Pagenaud remained in sixth. The second round of stops came just after lap 40. During which, Power and Castroneves swapped positions again, thanks to Power switching to the alternate tires. Further down the field Graham Rahal, who started 20th, had a good run through the field and he was up to sixth. At the same time, Rossi began to drop back due to his primary tires going off and was caught by Montoya. The final round of stops came at roughly lap 65. Power and Castroneves remained first and second but Castroneves, now on the primary tyres, was considerably slower. During the stops, Newgarden was given a drive-thru penalty for speeding in the pit-lane, losing fourth place. He was then given another drive-thru penalty for speeding in the pit-lane, while serving the first penalty. This allowed Hunter-Reay to move up to fourth and Pagenaud to fifth. Meanwhile, Power began to pull away from Castroneves, while Dixon rapidly gained on him and on lap 69 overtook Castroneves for second place. Castroneves was then quickly passed by both Hunter-Reay and Pagenaud and dropped to fifth. Power went on to win his 30th IndyCar race, putting him into the top five in the championship. Pagenaud maintained the points lead, with a 10-point advantage over Dixon. For the first time, the Grand Prix of Indianapolis saw no caution periods. ABC. 12 May, 3:30pm ET. And I've always liked this roval. Great post#1 as always, BJS! Power pips Wickens to get pole. I've got a feed from ABC but no motorsport of any description. Edit: Finally, so much for the schedule on Indycar.com's web site. Last edited by bjohnsonsmith; 12 May 2018 at 19:40. That was a bit untidy and Jordan King goes off at Turn 2 and Spencer Piggot in the other Ed Carpenter car also goes off, in sympathy. Power just got ahead of Wickens. Great job by his pit crew. Struggling to keep interest. Hardly any fights on track at all. Not much on track action but with the strategy permutations there’s enough intrigue. Think Powers got Wickens now. Desperately don’t want a Yellow. Same here,hardly 2 cars in the same frame on TV...finger on remote....F1 replay on the next channel. Has there been a single pass for position where both guys were on the same tyre?